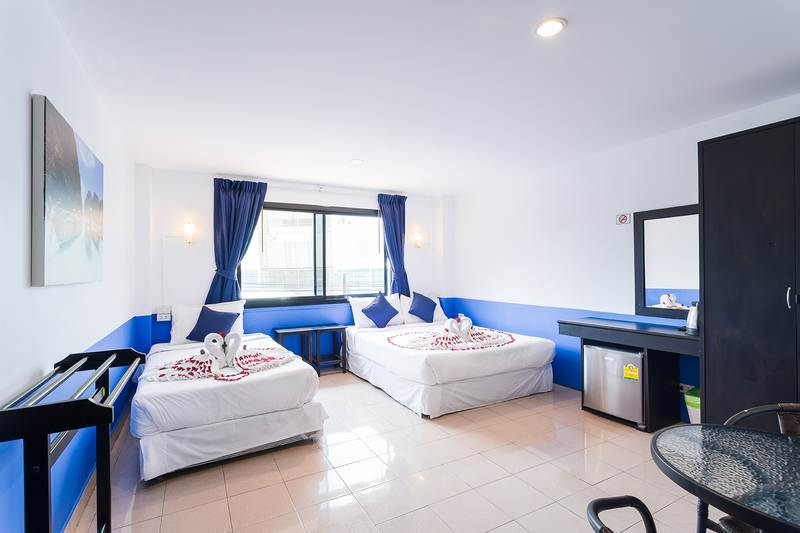 Chaweng Skybar & Hotel offers you 8 rooms with all the comfort you need. All our rooms have A/C, Safebox, 32" LCD-TV, Hot Water, Wardrobe, free Tea & Coffee and also 2 chairs and a table. Our reception is open between 8-23 and will help you with all you need. Nice restaurants for your dinner, recommend the best beaches to visit, printing you traveldocuments, buy ferry-tickets or organize your full-day adventure. Our Double-rooms offer you a King-size bed. 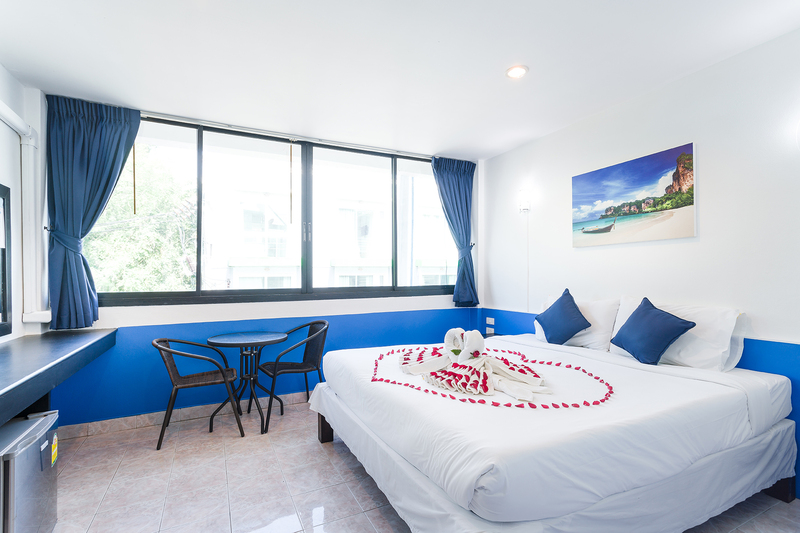 Rates from 800 THB. 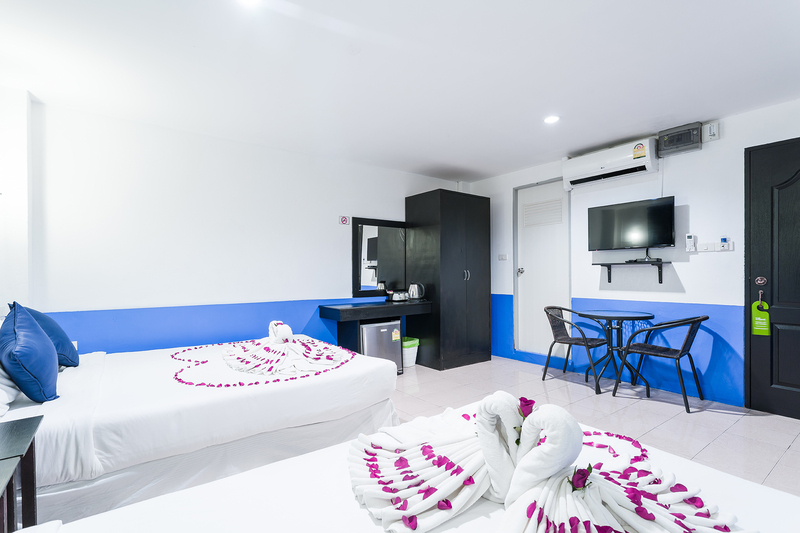 All our rooms have A/C, Safebox, Free WiFi, 32" LCD-TV, Refrigerator, Hot Water, Wardrobe, Tea & Coffee-facilities. 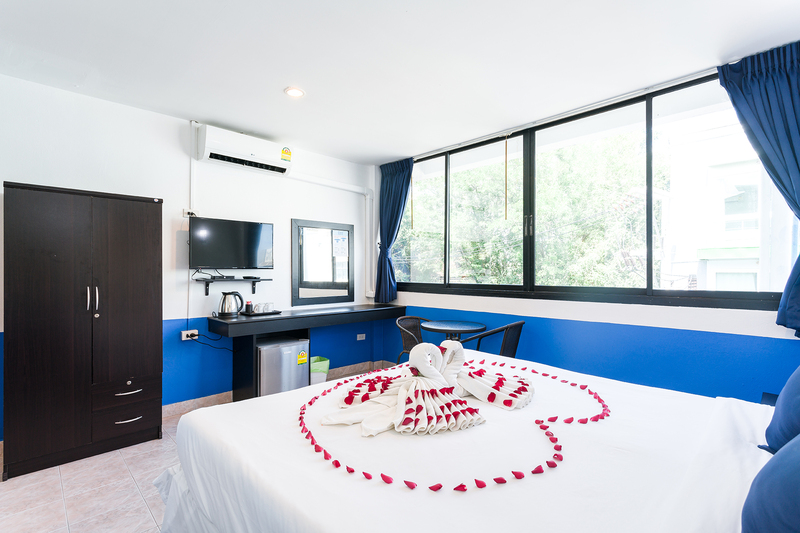 Our Triple-rooms offer you a Queen-size bed and a single bed. Rates from 900 THB. 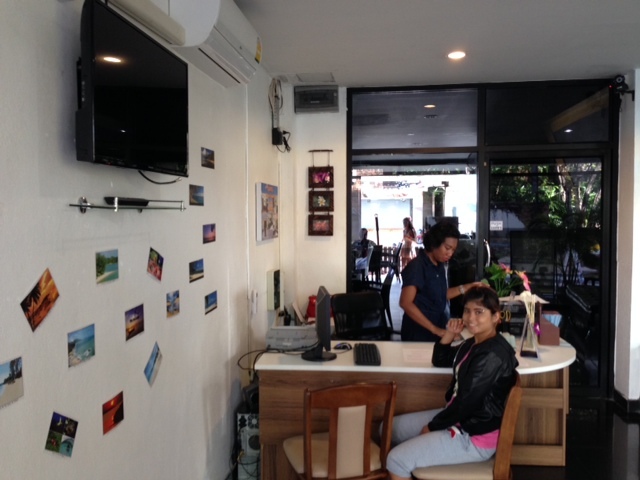 All our rooms have A/C, Safbox, Free WiFi, 32" LCD-TV, Refrigerator, Hot Water, Wardrobe, Tea & Coffee-facilities.